DERMO-UREA Skin balsam with 20% Urea. 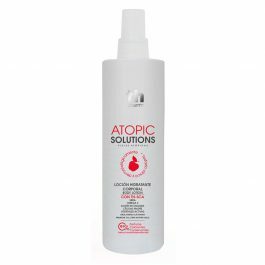 Formulated for skins with a tendency to DERMATITIS-PSORIASIS. Perfume and paraben free. Urea is a crystalline chemical compound, with no colour or fragrance. Its formula is CO(NH2)2, and it makes up approximately 7% of the “natural moisturising factor” (NMF). Urea is used as an active ingredient in formulations designed for skin problems where dryness is a predominating factor. Stimulates bacterial action and encourages the absorption of active ingredients. Urea is obtained exclusively through synthesis using a non-contaminating procedure authorised in the BIO cosmetics. It is easily tolerated by the skin and absorbed rapidly by the epidermis, modifying percutaneous absorption and improving hydration of stratum corneum. It also has a keratolytic effect, which is related to its natural hygroscopic consistency. Apply once or twice a day to clean skin by gently massaging into affected areas. External use only. This product is exclusively intended for external or topical use. Do not use in cases of intolerance to any of the ingredients. Maintain at a temperature of less than 30ºC. If side effects result from use, stop treatment and consult a doctor. Dispose of packaging after use. Keep out of the reach of children. 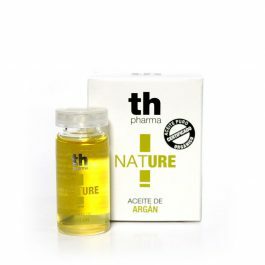 Organic argan oil is obtained by cold-pressing the seeds. The oil has a soft golden colour and a characteristic faint smell. With a high content of fatty acids: oleic, linoleic (omega 6), palmitic and stearic, which aid the metabolism of thromboxanes, prostaglandins and leukotrienes. Also has a high content of sterols, which are the biochemical precursors of molecules such as vitamin D. All these compounds are a basis for the biosynthesis of the cellular membranes, lipid bilayers, in which the compounds produce elasticity and fluidity, stimulating the restoration of the hydrolipid layer that protects the skin. NUTRI-UREA Moisturiser body milk with 10% Urea. Dry and dehydrated skin.